Thus, the first line of the hymn “Ye holy angels bright”, for example, could be sung as do mi do sol mi do. 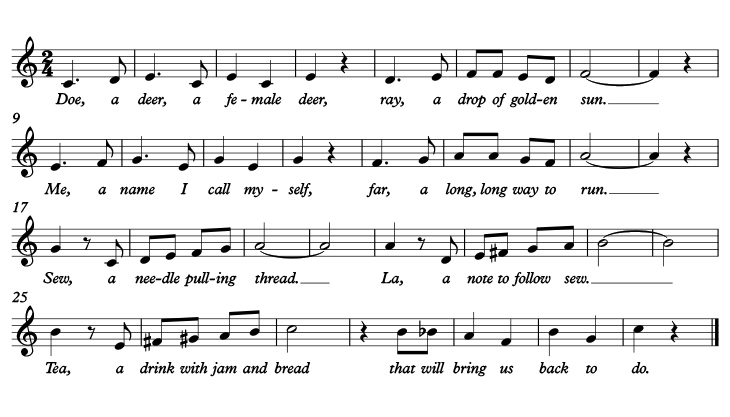 In The Sound of Music, Maria famously teaches this system to the Von Trapp children with each syllable of the musical solfège system appearing in the song’s lyrics, sung on the pitch it names (see how the first note of each four-bar phrase forms the scale shown above). so let our tongues be lavish in your praises, Saint John the Baptist. So come, enjoy Ut queant laxis at Compline on 24th June, and never see The Sound of Music in quite the same way again!